It’s easy to blame President Obama’s Administration for the massively increased deficit and the lousy economy, but it’s much harder when faced with the recently revised data on the economy just before Obama took office. I just finished reading an article in The Economist that puts the economic discussion occurring throughout the country in much greater perspective. The article discusses the revised economic data from just before Obama took office and the approximate total of stimulus that the Congress spent. – In the three months leading up to Obama’s inauguration, the drop in employment was actually 2.2 million jobs lost as opposed to the 1.8 million jobs previous data showed. – In Jan. ’08 alone – a year before Obama was inaugurated – the 820,000 jobs were lost according to revised data. – In Jan. ’08, total employment was already 1 million workers below the level shown in the official data. – Approximate total stimulus amounted to $1 trillion, spread out over two years. – The $827 Billion stimulus package was barely enough to stop the economic slide but not enough to jump start the economy. Had the economic data been more accurate, a larger stimulus package probably would have been approved by Congress, along with corresponding monetary policy, that might have jump started the economy. – By the time Obama took office, employment loss was already at 3.2 million minimum. – The loss of economic activity and job losses, as noted above, reduced all federal revenues to such a degree that the resulting loss accounts for most of the increase in the deficit, not the stimulus. – The Obama Admin is not a big spender, but rather the economy was and remains so bad that the deficit is a result of lost revenues rather than big spending. – DC and the public at large continue to misunderstand how extraordinarily deep the economy was hit; therefore, they misunderstand both the causes of the rising deficit and why it’s been so difficult to pull out of this recession. 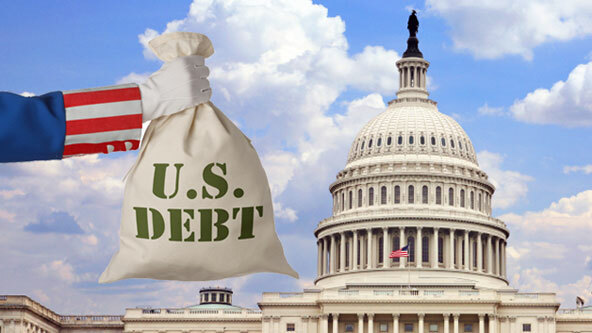 As both PIMCO’s CEO El Erian and Nourial Robini (aka Dr. Doom) stated in their Financial Times Op-Eds, the US needs more fiscal stimulus in the short term combined with a long term deficit reduction plan, starting in two years, to bring down the debt. Moreover, that plan must include both spending cuts and increased revenues. Furthermore, US political leaders must put political agendas and ideology aside to focus on jobs creation and economic growth. Winning elections, as noted in the Washington Post article today regarding the rise of the “Young Guns” and their Tea Party compatriots, is far less important than saving the US economy and the millions of American families struggling to survive without a job. Thanks to The Economist for this chart. As they stated, it’s pretty self-explanatory. Matt Yglesias calls the charts “bleak facts.” I have to agree.